If you're looking for nostalgia, or have money to burn, this package provides you with three solid titles from yesteryear. 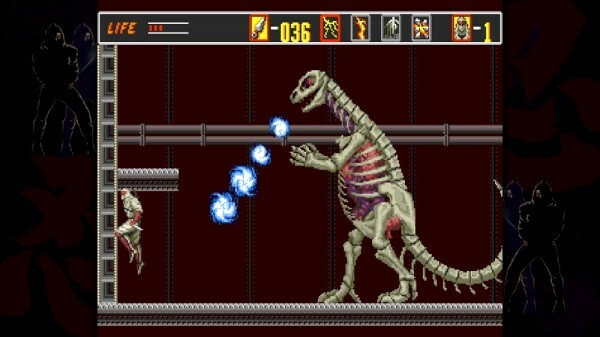 SEGA has started to slowly roll out a collection of its vintage games, labeling them under a SEGA Vintage Collection banner. Only a couple of these digital combos have been released thus far, but Alex Kidd & Co. seems to be the most confounding one. It clearly includes a headliner with Alex Kidd, who used to be the big money-maker for SEGA, but apart from that, the games included in this package don’t seem to have much of a theme to them. That doesn’t mean that the games are bad, of course, but it’s a bit confusing as to why they wouldn’t just package all three of the Alex Kidd titles together. When first starting up Alex Kidd & Co. you’ll be offered three titles to play. Before that, however, it’s impossible to not notice how polished the experience looks. When you hit the title screen, the arcade-cabinet look creates a nice feeling of nostalgia that the people who are purchasing this title are undoubtedly looking for. Then comes the choice of games: Alex Kidd in Miracle World, The Revenge of Shinobi or Super Hang-On. Alex Kidd provides a nice challenge for those looking for that in a vintage game. It faithfully recreates the original game, but also adds the option to save-state, as does Shinobi. This takes a huge amount of frustration out of the game, and allows for gamers potentially spoiled by the difficulty levels of modern games to enjoy the collection in spite of its games’ stiff difficulty level. 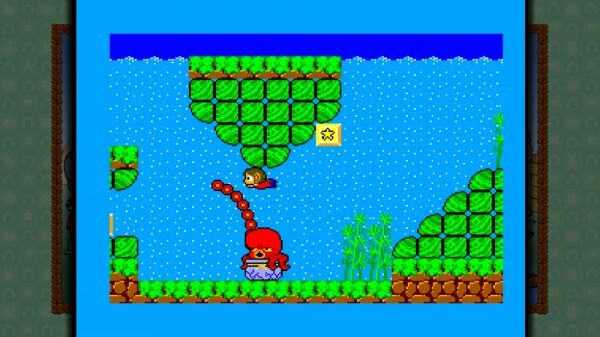 Alex Kidd is certainly the stand-out of the group, as it used to be for SEGA before Sonic rolled around, and it offers enough to satisfy. Shinobi is also recreated from the original game, and like Alex Kidd, it allows for save-states. This game doesn’t quite stand as well on its own like the titular game does, but it’s by no means a bad game — it simply doesn’t pack the punch that the other two games do. It seems like a generic beat-em-up, mixed with platforming elements at first blush, and never really seems to become more. Granted, for those looking to play a game they loved as a child, it will likely be a bit more fun. 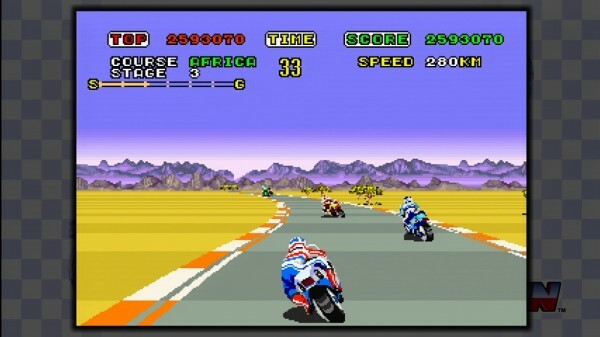 Lastly, Super Hang-On is a racing game that has held up the best out of the three. This isn’t too difficult to do, however, considering the racing genre hasn’t really had any earth-shattering additions in recent years. SEGA was nice enough to also add a 3D mode to the game for people who are looking to put that fancy new TV to use. All three titles offer trial modes that add more replay value to the bundle and ultimately flesh out the experience a bit more. However, it’s difficult to shake the feeling of playing a plug-and-play from your local mall. This isn’t a bad thing if the games are solid, as they are, but the price of ten dollars is a bit steep for three old games. If what you’re looking for is nostalgia, then you’ll find plenty of it here, and the price tag might be worth the content. However, if you’re simply looking to experience some games that you didn’t play as a kid, the price is a bit more concerning.